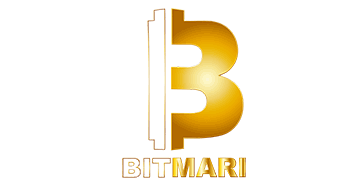 BitMari is a Pan African Bitcoin platform that provides swift, secure transnational financial transactions. In an effort to accelerate the understanding and adoption of Bitcoin, Bitmari has implemented an African indigenous languages feature that allows users to communicate in languages such as Shona, Ndebele, Wolof, Swahili among others. The BitMari Bitcoin Wallet is available for free download on iOS and Android. BitMari, has launched the first ever bitcoin accelerator for women farmers in Africa. The accelerator targets Zimbabwean women farmers and is raising funds to equip them with inputs and irrigation pumps. The “Zimbabwe Women Farmers Accelerator” will leverage the power of bitcoin to hasten farming processes, develop farming enterprises and promote higher yields. The campaign will run on crowdfunding platform Tilt, from August to October 2016. The initial target of $25,500 will provide startup funds for 100 women farmers selected through the Zimbabwe Women's Land and Agricultural Trust. The accelerator seeks to address the challenges created by the convergence of the cash and climate crises in Zimbabwe. The accelerator will provide resources and technical support for the women to enable the true development of their farming activities using the BitMari Bitcoin wallet. The simple interface and indigenous African languages options available provide an easy way for the farmers to redeem their Bitcoin vouchers for inputs. Furthermore, BitMari will educate women farmers on the use of Bitcoin to make global markets more accessible, which will make exporting a possibility and easing the currency shortage facing the country.